The action and interest of the novella centre on the discordant relationship between the main character, Rebecca, and her husband, David. Grimwood writes confidently about inter-marital emotions and Rebecca’s fear of her violent and abusive husband functions as a powerful narrative force. Grimwood manipulates David’s Jekyll and Hyde persona and uses Rebecca’s alternating fear of the one and love for the other to illuminate their relationship. The story opens with a desperate car journey and the nightmarish disposal of a corpse. After this darkly effective opening, Grimwood slows the narrative pace to focus on the characters’ inner lives and the marital conflict that will be central to the plot. The themes of physical and psychological abuse both within the marriage and beyond are introduced. 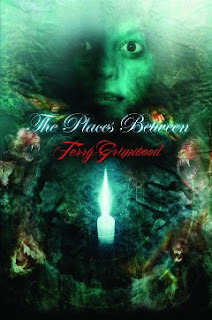 Grimwood develops the inner torment of his main character through a series of “intermezzos” depicting Rebecca’s past relationships with men. One of the novella’s ideas is that David is a changeling of sorts and that this explains the extremes of his personality. Rebecca spends the early part of the story pondering her husband’s identity; is he the ‘real’ David or an imposter and which does she prefer? Later in the novella, she begins to question her own identity. Fortunately for the reader, Grimwood doesn’t let the plot become too cluttered with free-floating alter-egos. Rebecca rediscovers the husband she once loved, in the ‘imposter’ David only to have him snatched away again. As she sets off in pursuit, the more fantastic elements begin to overwhelm the narrative. The banal realities of village life give way to a frenetic, unpredictable fantasy world and what takes shape as an internecine conflict between opposing forces of good and evil. Rebecca, only half-understanding her predicament, is forced to flee her village accompanied by an endearingly monosyllabic monster and is pursued through the English landscape to the novella’s climax in the crypt of a Baptist chapel. Grimwood is adept at keeping the reader in a state of suspense and moving the narrative forward at a bounding breathless pace. Car journeys and chase scenes figure prominently in the plot and there are some wonderful set pieces involving an increasingly bizarre menagerie of fantastic beasts. With all his imaginative flair and descriptive skill, it’s a bit of shame that the author rushes certain sections of the plot and there are some rather too abrupt plot twists. Grimwood is working with a broad-brush technique in a limited space and the effect is at times a little crowded. However, the dark and thoughtful ending is skilfully brought together, leaving the reader with plenty to reflect on in terms of relationships. The Places Between worked for me on a variety of levels. It is enjoyable as a straight fantasy story but is most effective at those points where the action is poised between the real and the surreal and the characters, trapped in their own identities, struggle to come to terms with each other.